A vacation on a resort island quickly goes awry for Lilah Farmer when she is sucked into the convoluted designs of Darlene Sinjuste, a woman dying of cancer and with nothing to lose. Lilah bears an uncanny resemblance to Darlene's long-dead daughter, and, after a chance encounter, Lilah makes the mistake of accepting Darlene's invitation to join her for lunch. From there, Lilah finds it increasingly difficult to extricate herself, becoming Darlene's unwitting pawn in a toxic family drama. It doesn't help that Lilah starts falling for one of Darlene's stepsons, Zane, whom, Darlene hints darkly, attempted to kill Darlene years ago. And when a clumsy attempt is made on Lilah's life, everyone and no one has a motive, including Zane. 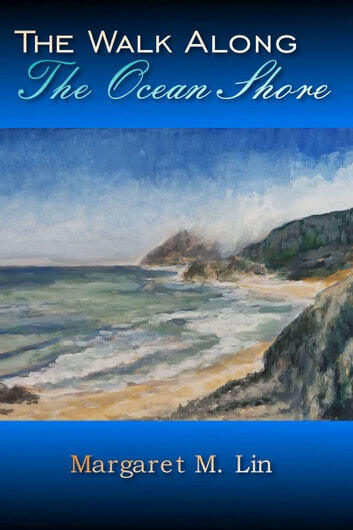 But nothing is quite as it seems, and Lilah must make some hard choices if she is to get away from Darlene's poisonous, tangled web, and off Edith Island. 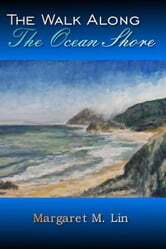 The Walk Along the Ocean Shore scores in the mild range for sensuality, violence, and language.